In keeping with trying to post every day until New Years, I thought I'd bring out some oldies, to help clear the hard drive. I want to say that this is around 2008, but don't hold me to it! HyperFest was one of those events that you just HAD to go to. It was back when the scene was still young, and an SR Swap was still a pretty desirable thing. In our region, the RB swaps were just getting into the "I wish I could afford that one day" territory. In fact one guy below has an RB25 Neo.... I know it's bad, but I haven't paid a lot of attention to these pictures since we took them. Big shout out to my guys Sean and Charles for helping me that weekend so many moons ago. They were taking snaps for the DVD cover, etc. I was taking Video for the DVD. It's at my house in America somewhere. I really need to buy a cheap Mini DV camcorder so I can start digitizing that footage. So much footage. Over 300 tapes in the time I had mini DV. Also, If you notice, the logo is VERY different from now. I still had my old logo file, and decided to use it. I think this was the third logo that I created for eXite. Somewhere I still have files or a representation of all of them. Maybe that will be a post one day, lol. The first photo is an action shot. I can't tell who the lead driver is, but the rear driver is most definitely Nathan Brasz. He was a promising new talent at the time, but apparently he isn't drifting anymore. 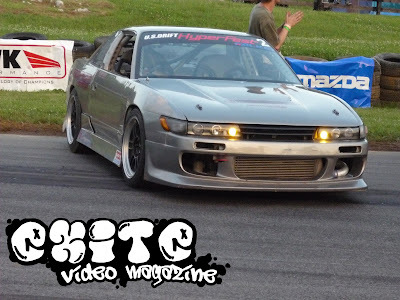 When you google his name, it appears that maybe 2010 or 2011 was his last year in drifting, but I saw his name in BMX Racing, and Legend Cars Racing, and stalking his Facebook shows a wide variety of motorsports vehicles on his page. This particular event, he won however. I interviewed him a long time ago at an event in Mid-Western Ohio. He is a really killer, easy going, fun loving guy. I definitely hope him all the best in whatever motorsport he competes in. And here is that RB25. Doesn't look like it's a NEO after all. Oops. I'm getting to old to remember everything. You know the one theme I'm seeing here is? Almost everyone has all the panels on their damn car. Even the guys with no hood have every other panel attached. And this is in West-By-God-Virginia. I mean, in all honesty, while most of our skills have progressed, the scene itself has degraded. 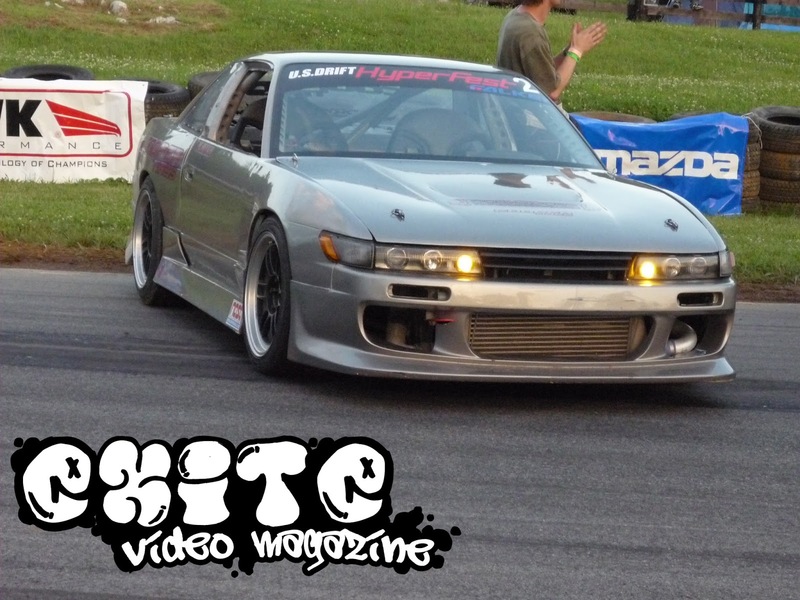 Come on people... drifting is a STYLE sport. And here.... just so you can't say it's all S-Chassis. 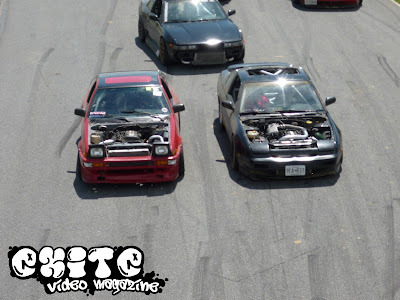 One photo has an AE86 in it up above, as well! What can I say? I love S-Chassis. I will be back tomorrow with part 2. Until then, stay wild and do something exciting.